Carriage ride lasts 30 minutes. Included in the price is pick up from Firehouse Golf, and a thirty-minute carriage ride. Ladies will receive a dozen roses as well as a CD of photos commemorating all of the fun of the evening. Make your special occasion even more memorable with a magical carriage ride and a warm and heartfelt feeling. 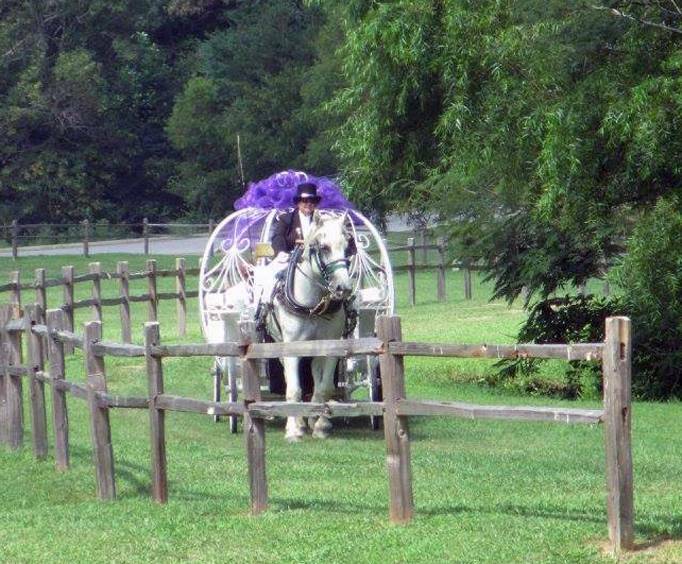 This thirty-minute carriage ride is for those who want to make their proposal, wedding, honeymoon, anniversary, or birthday more special than a simple party. This completely romantic endeavor turns your carriage ride into an absolute fairytale that will impress and delight your loved one. The ride will start off with guests being picked up from Firehouse Golf located at Walden's Landing, then proceeding on to a magnificent and enchanting carriage ride. Thirty minutes of wonderful evening romance is to be had on this unforgettable experience and will prove to be the best way to celebrate your special event. You will be able to enjoy amazing sightseeing and conversation as a carriage ride is truly the ultimate of romantic experiences. This is a must-attend carriage ride, with the ladies receiving long stem roses, and a dozen roses and CD of photos from the evening being available. They will feel like a queen and you both will be able to look back on the special memories of the evening. The carriage rides begin after dark and run through to midnight, depending on the weather. These night time rides make the moment even more romantic, with the sun being down and the only thing to focus on being your significant other. With a backdrop of beautiful starlit sky and the quiet city sounds and lights, this almost ethereal atmosphere is sure to help spark some romance. The carriage is decorated tastefully and will be the perfect setting for a proposal to your special other half. 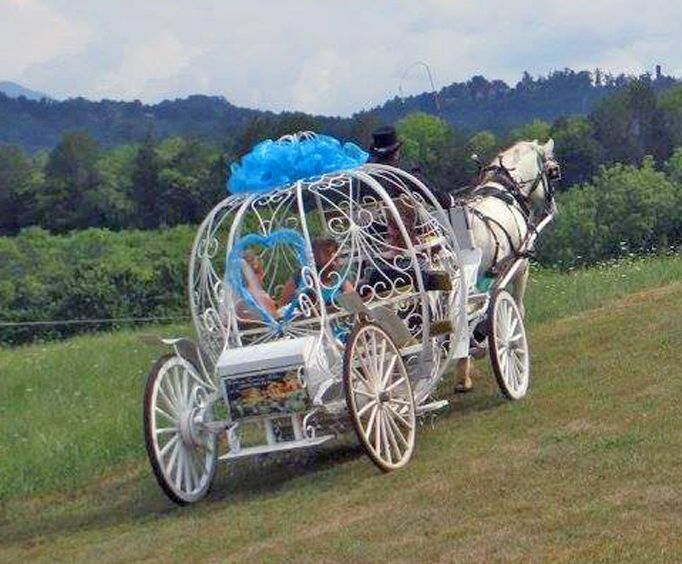 Feel like Cinderella on her way to the ball in this beautiful choice for a ride. 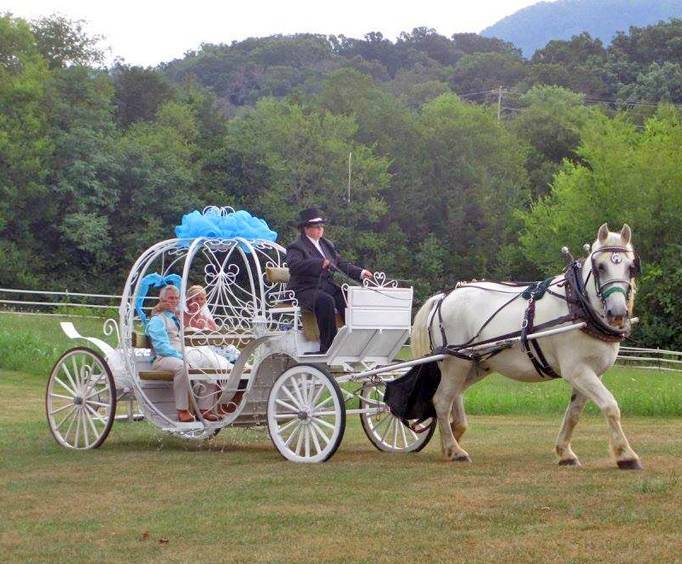 Be sure to book your reservations today, and start your romantic carriage ride soon! No matter if you are proposing, enjoying a date night, or celebrating an anniversary, there is no better way to celebrate your love than with a picturesque, fairytale-like activity. Approximately how long does the Heritage Carriage Rides Romance Package last? Where does the Heritage Carriage Rides Romance Package depart from?